A Complete Guide to Faeries and Magical Beings is a wonderful companion for those who wish to tour an enchanted world. 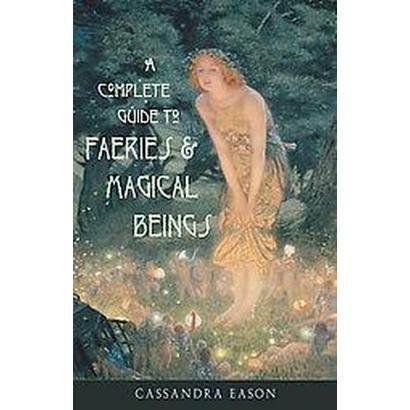 Cassandra Eason begins with the myths, legends, and real evidence surrounding the origins and existence of fairies and then takes us on a journey throughout the world to introduce us to the many different varieties of these mysterious beings. From fairies to viking giants, selkies to gnomes, fey beings abound. In this spritely volume, Eason shares fascinating anecdotes of people who have actually seen them. And if you’d like to meet them yourself, Eason also provides simple techniques, exercises, and rituals to attract, find, and communicate with the little people. Hang silver bells by a window. Keep potted plants in your home. Or sit quietly between two oaks at dusk or dawn. Fairyland mirrors universal human issues: fortune versus misfortune, fate versus free will, perfection and imperfection, illusion and objective reality, different time scales, the existence of parallel dimensions, and the duality of human nature. Some people even believe that fairies are becoming more visible again, as they were in pre-industrial days, to remind us of the consequences of consumer society–the danger of being seduced by our own versions of fairy gold.